Proper packaging is a critical step in the shipping process. Just one mistake can expose your shipment to costly and time-consuming damages. Not only do you need to use quality materials, but you also need to package your products in a way that will increase strength and durability. Packaging is not a one-size-fits-all game, but it does start with some basic best practices. When picking a box for your products, you want one that is in good condition (no holes, rips, or dents) and is sized just right. There should be just enough space for the needed cushioning and no more. If you use a box that is excessively large you run the risk of being charged according to your dimensional (DIM) weight, which can get quite pricey. How you cushion your contents will depend on the product you’re shipping. In general, you can protect the contents of your package with bubble wrap, foam cushioning, paper pad, or packing peanuts. This will help to prevent damages caused by movement and vibration that occur during transit. Then it’s time to seal and label your package. Use packing tape rather than duct tape or masking tape, and seal your box using the H taping method. Remove any old labels from the box and place your label on the largest surface. Labeling is an important step for proper packaging, because it helps get your shipment to the right place without any unnecessary delays. When deciding how to package your freight, consider the size and weight of your shipment and how it will be handled. What kind of protection will it need? Will it be on a dedicated truck or will it be moved on multiple vehicles? Palletizing your freight will give it a solid base and will make movement on and off the truck easy and safe, making it a good choice for many different types of loads. Wooden pallets are the most common, and are typically recommended by carriers like FedEx and UPS Freight. However, you may consider metal, plastic, or corrugated pallets depending on what you’re shipping. For the cartons on your pallets, make sure the contents inside are packaged properly with the needed impact protection and each carton is labeled with the shipper and consignee information. While stacking, you need to consider how it will affect the strength of your shipment. Start by placing heavier cartons on the bottom with lighter boxes at the top, and distribute the weight evenly. Use an aligned, column pattern while stacking and make sure there is no overhang. Once your pallet is stacked, you’ll want to secure it with stretch-wrap and banding. The stretch-wrap should go around the cartons several times and be twisted every other rotation for increased durability. For banding, use sturdy steel, rayon, polypropylene, nylon, or polyester straps. You may also want to consider crating if you’re shipping fragile freight. First, select a crate that is constructed from quality lumber. Most carriers will recommend plywood rather than oriented strand board (OSB), medium-density fiberboard (MDF), or particleboard. You also want to make sure your crate is sized appropriately, with excess space kept to a minimum. Avoiding damaged freight and a claims nightmare starts with proper packaging. Along the way, you’ll also save yourself from costly DIM weight charges and increase the durability of your shipments. The time you spend up front to make sure you have proper packaging will be well worth it. 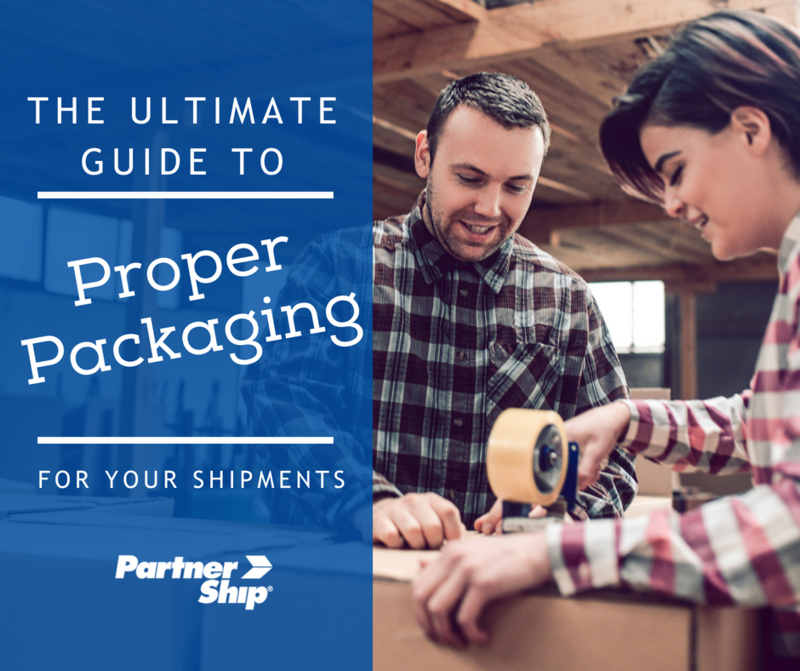 Get in-depth instructions by downloading our free white paper – The Ultimate Guide to Packaging Your Shipments!